Well what can I say about February? Not a great deal really apart from the weather that has hampered every angler across the country from getting out. To be honest I would much prefer the winter to be consistently cold as not only can us anglers get acclimatised to it but so can the fish. Sadly getting a consistent winter rarely happens and the ever changing temperatures and conditions just play havoc with everything. ‘The beast from the East’ maybe upon us but at least spring won’t come too early and when it does the fishing should be superb. Anglers that keep a close eye on my Facebook page will see that I have had to reduce the information that I bring to them. This is simply down to a few pathetic readers that seem to just want to give negative feedback. This all started when I posted the picture of a dozen or so bream on a mat which really was simply done to show that if you choose the right day and swim and then fish the right rig catching in such appalling conditions is possible. One angler mentioned the 50lb limit allowed in a keepnet however I have four at my disposal so who said I was only using one? You! Assumption is a dangerous thing my friend and who are you to discuss fish welfare when you are happy to impale a hook within a fish’s mouth. Maybe you should take up golf if it bothers you that much or after telling me that you blanked on the same venue just days before in far better conditions get some angling guidance. So to all my Facebook friends who used to enjoy my informative posts and helpful advice blame these pedantic so called anglers for my rethink. The traditional close season on our rivers seem to be filling the news at the moment and I have to say that I would hate to see it abolished however after such a horrendous winter I do feel that there may be some cause to rethink the dates. I’m no expert but how many fish are actually spawning at the moment? Pike, perch even roach and dace may start early but as for barbel I think that they would be going through this ritual much later on so in my mind keeping the rivers open to say mid April would not only be productive for the river anglers but also protect species such as barbel when they are most vulnerable. Don’t get me wrong if we were to extend this to mid April then I would want the season opening mid July, however I have this horrible feeling that if this goes to a vote then there is a very high chance that it will be abolished and for me it will be a very sad day when it happens. On a better note, spring isn’t that far away. Once this cold snap moves on and the wind changes direction things should start to liven up. The lengthening days has already seen a few tench waking up so give it a couple of weeks and fish should be crawling up our rods and the horrid winter a distant memory. 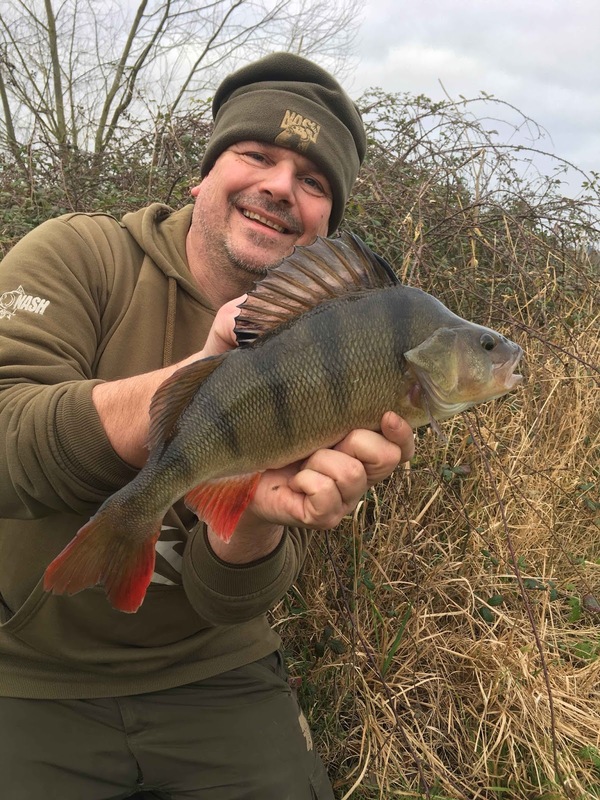 03/02/18 – Managed a few hours perch fishing on the river this morning with Chris and Aaron. Fishing by 8am in glorious rain and a chilly temperature of just 5 degrees best. The river looked good and we all caught, albeit mostly pike yet Aaron did the business as usual and managed a decent perch. Keep an eye out in Anglers Mail for a feature from him soon. 04/02/18 – In the office all day feature writing and getting some library images done. 05/02/18 – Spent the day sorting the words for a WTF opener feature. 06/02/18 – Another office bound day, this time doing my weekly WFT column. 08/02/18 – Getting last few images to complete articles, rewriting European articles for this country and then headed to the FAS AGM where I was voted in at being the clubs new President. 09/02/18 – Another day in the office and once again getting a few things that have been hanging around out of the way. Although the cough hasn’t disappeared I’m thinking come next week I will be fighting fit and gagging to cast a line. 12/02/18 - After a couple of hours in the office headed to the river in the hope of a big chub. Fished an area that has done the odd six of late, but also an area that has never been kind to me in the past. After depositing tow pints of dead maggot in the swim placed a bait and waited. Three hours later at 7.15pm, without a sign and with frost on all the tackle headed home. I did have a good fish come upstream past me so the baited spot failed but at least I have a bit more space in the freezer! Good to get out, even if it was just for a few hours in far from good conditions. 13/02/18 – Managed to get an Anglers Mail WTF Opener sorted and uploaded on Wylands along with spending time on the keypad simply getting information for up and coming features. confident as it was running a chalky green colour, pushing through but fining down, however the bait I had bought was bread yet my good friend Tom had mentioned it fished well with some colour. First swim saw two clever fish pinch my hookbait before a chub of around 3lb killed the swim. Next swim and an immediate bite produced another around 3lb. Third swim nothing, however the last two both produced chub weighing 4lb 12oz and 4lb 14oz, not bad for a two hour session in spring like conditions of 11 degrees. 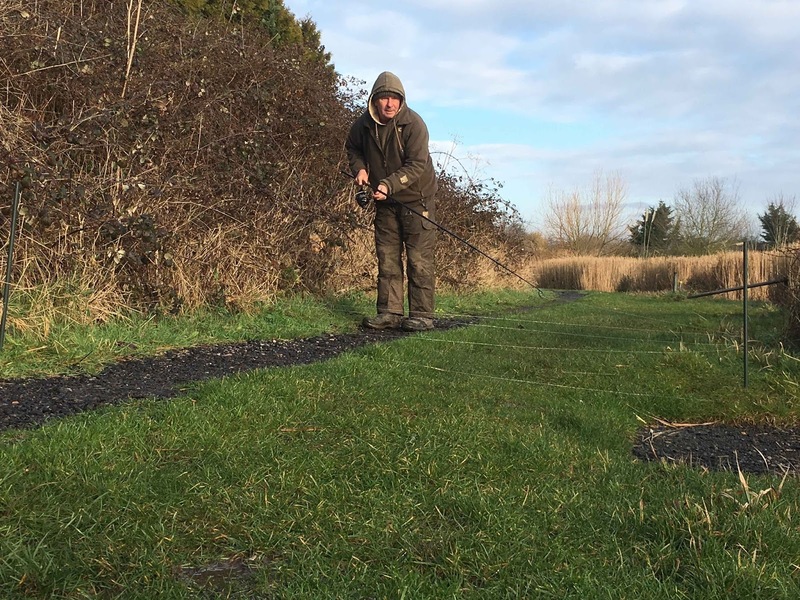 18/02/18 – Met Chris at 8am and headed to the Wey for a few hours chub fishing. River clear and after just a few minutes in my first swim missed a bite before hooking something far more powerful than a chub which turned out to be a small carp. Chris fished the swims I caught from a few days earlier but could only muster up one decent tap which was too quick to strike. 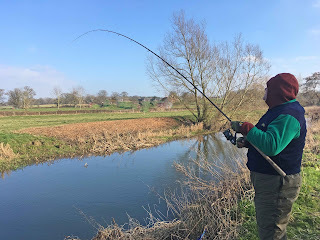 I missed a bite in a new swim however being such a short stretch we soon ran out of swims so headed downstream a few miles, yet this winters conditions showed just how difficult they are as when we looked at the river it was coloured and looking horrid. We did try a couple of swims but both agreed we were wasting our time on bread. 19/02/18 – Ahead of myself again after writing up my WTF column nice and early. Another good week for book sales and now getting close to having to make that decision whether to get another 100 printed. Feeling quite good as usually I have loads of icons, which mean jobs pending on the left-hand side of my computer screen but its 2.30pm and there’s nothing! That means get the rods out, well at least tomorrow morning and then again on Wednesday and Thursday as these are booked in as guiding days. Aiming to keep ahead of myself as this will allow me to get out and make the most of it when a good day comes along but looking ahead the weather isn’t getting any better soon. 20/02/18 – The end of the short mild spell is in sight so I headed out to my local Badshot Lea Big Pond for a spot of bream fishing before it arrived. Conditions ideal, overcast, mild with a N/W wind and A/P on 1019mb, maybe not quite ideal! The trip was really to see if it was an option my the dads to head out this early, the answer yes, yet it looks like with falling night temperatures to -4 forecasted for the week ahead, they will have to wait. In four hours fishing the devastating helicopter rig, groundbait feeder and maggot I took 25 bream averaging 5lb, the best probably 7lb and a roach bream hybrid of around 3lb 8oz. Not bad for February! Back in the office well before midday as I need to get the tackle ready for two consecutive guiding days on the river, one trotting for roach, the other for perch. 21/02/18 – We all get them, one of those days when as hard as you try, getting a proper bite just doesn’t happen. Unfortunately such a day fell whilst I was guiding one of my regular customers John who wanted an introduction to the river Blackwater and a spot of roach fishing on the punch and stick float. We arrived as the sun was rising and went straight into what’s known as a ‘banker’ swim only to receive the grand total of no bites. We then tried five more swims that usually produce for the grand total of five small roach. Thinking the roach just weren’t having it we changed tactics and headed to another stretch in the hope of a few chub. Dropping in eight swims and offering a big lump of flakes we received just the odd tentative pluck! I then received a call from my good friend Lewis Deeks who was on the Test at Broadlands who informed me that he couldn’t buy a bite! 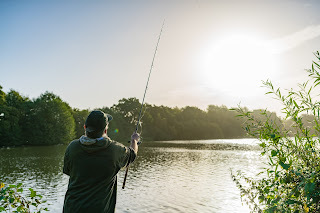 It then dawned on me that there was something in the air that was putting everything off feeding as if you can’t get a bite from a grayling then we were up against it. Undeterred we then headed to the river Wey where just days earlier I had caught a number of chub but six swims later and just one pluck for our efforts we decided enough was enough and threw the towel in! 22/02/18 – After such a difficult day I was hoping that whatever had put the fish off feeding wouldn’t carry over to today as I had another customer who was looking to catch a big perch. I decided to take a risk and sit in one swim for the morning, one I knew had a few predators in yet two hours in and with nothing to show for our efforts I was beginning to get that sinking feeling. That was until the float slid away and a small pike livened things up which was quickly followed by his dream fish, a very big perch. 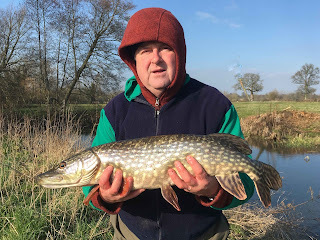 With other anglers arriving we headed downstream to try a couple of good swims, the first failed to produce but the next gave Chas three bites which resulted in two pike. Not an easy day but get the right bite and it makes all the hard work worthwhile. 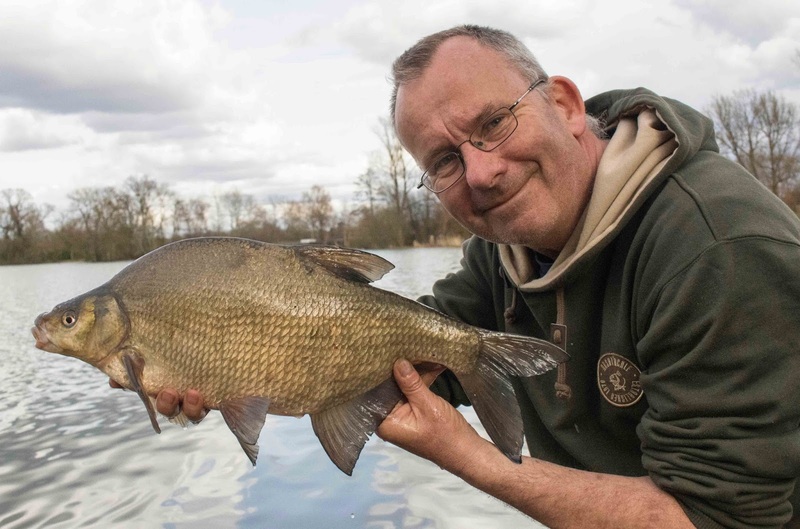 25/02/18 – On the road early, this time heading south to Broadlands to team up with James Buckley to try and get a bream article sorted. Sadly ‘The Beast from the East’ was beginning to raise its ugly face as the wind had swung to the east and with three hard frosts on the trot and now a cloudless dawn. Far from ideal bream conditions, in fact everything you don’t want when targeting bream and as expected things were tough. Just one modest bream was caught, not really article material and come midday we decided a return visit was needed in a few weeks time. 27/02/18 – Would you believe it, the coldest night of the winters forecasted and my boiler ignition has failed, bugger........Hopefully my mate Barrie will be able to fix it, fingers crossed. Wrapped up warm and wrote my Anglers Mail WTF column so I’m still working a week ahead of myself. 28/02/18 – Fortunately it wasn’t a cold night as Barrie managed to fix the fault, joy.......so with everything frozen spent another day in the office getting fishy related items sorted. Don't forget to get your tickets for The Big One which is over the weekend of the 24th and 25th of March at Farnborough International GU14 6AZ - Tel 0345 8731900. 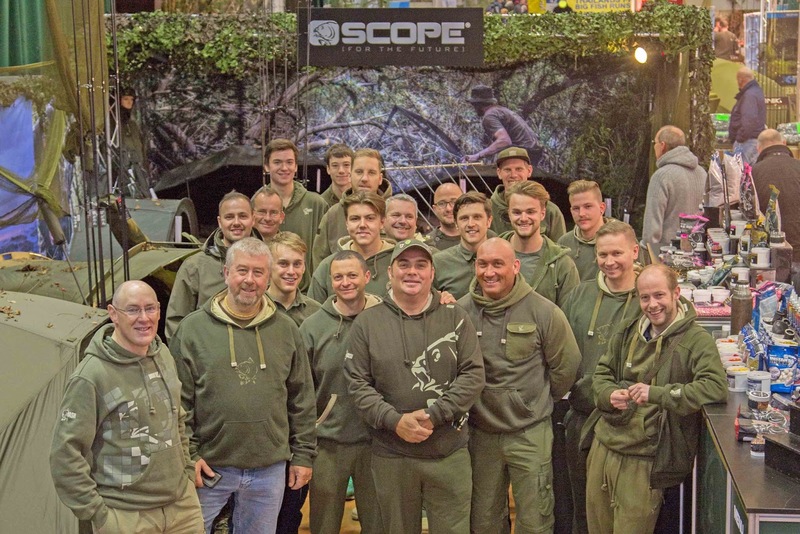 I will be on the Nash stand with the rest of the team so come down and have a chat. 22/02/18 - The drive home to Kent was much easier for Chas who took this massive personal best perch under my guidance. The best of four on a very cold day. 26 bream for around 125lb in less than 4 hours! Red Letter session in Feb! 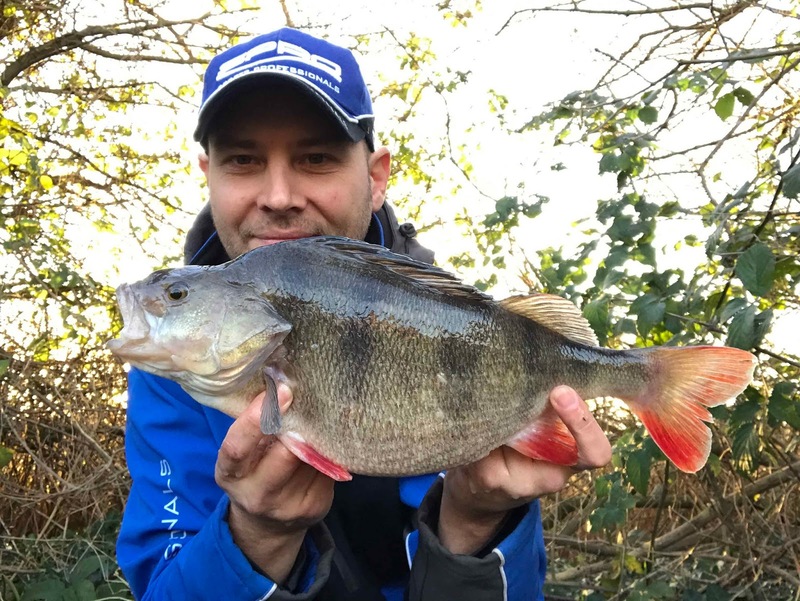 20/02/18 - Image shows one of twenty six bream taken in less than four hours for a total weight of around 125lb. If you want to catch fish like this, and the next three months are best, then why not book me for a days guiding where all will be revealed? Just email me - duncancharman@me.com for more information. Evolution of an Angler - not many left! Last few signed copies at the give-away price of just £10.99 plus postage! The first batch of books have almost gone. Not sure if I will be getting another 100 printed (probably) so if you want to definitely get hold of a signed copy then you need to get in touch now. 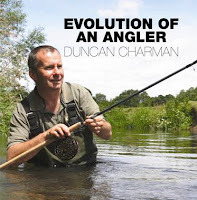 The book contains over 350 pages all in full colour covering my angling journey from childhood, match fishing and as most know me now, a specimen angler. If you are a Farnham or Godalming member then most chapters will be of interest to you as they cover many of the clubs venues. It will all be over in four weeks! Time is running out for all you river enthusiasts. I managed a couple of hours on the river today, river conditions, climate conditions and my timing seemed all wrong but sometimes you just have to grab a few hours when you can. Five swims covered and four chub in the net, the best two going 4lb 12oz and 4lb 14oz. Having mastered the art of zig fishing there was one last trick up my sleeve that I needed to become competent using, one that I had watched another angler employ on the same lake I was doing so well with sub-surface zigs and this was over-depth zigs, a tactic that was literally taking the place apart. It was high summer and with many of the lakes resident carp spending most of their daytime activities close to the surface it seemed logical that they could be tempted off the top, yet the amount of birds, especially sea gulls had put most people off. Any freebies placed on the surface were soon intercepted by these along with the resident swans, coots, mallards, tuffties and moorhens yet this one angler had overcome the problem and was simply reaping the rewards. One of the best tactics in angling is not to be afraid to approach an angler who is catching and ask for some advice. This is what I did and fortunately the angler was happy to help, especially once he knew that I had been catching on zigs below the surface. He was down for a 48hr session and said if he didn’t catch thirty carp during his stay he would be disappointed. Now this is on a lake where half a dozen in this time would have been classified as a red-letter session! During the few minutes we spoke he managed two carp, including a twenty and what I learnt then was that if you want to catch on over-depth zigs then the most important point is to feed the birds off at the start. Now I have heard of anglers doing this before but never witnessed just how much bait is needed but this angler had two 15kg sacks of floating dog biscuits at his disposal for the session and was spombing two large pouchfuls out every ten minutes or so just to feed the last remaining birds as well as the carp that were also feeding. Before progressing it’s amazing how birds can tell the difference between a bait with a hook in it and a freebie, luckily carp aren’t as clever so once the birds have had their fill its rare for one to make a mistake, in fact the birds usually move well away, fully contented leaving the carp to feed in peace. At the start of a session I would have no problem continuously spombing dog biscuits out to feed the birds and on average on this lake it took around three kilos to fill them up! All the time the birds are feeding the carp will be curious to the activity, move in and join in. Don’t be in a hurry to cast in, what you need to achieve is a few carp competing, so be patient. long periods is just not in my nature. Creating a feeding zone and watching carp slurp down freebies whilst getting ever closer to your hookbaits is exciting stuff and then to see a massive swirl on the surface followed a couple of seconds later by the alarm screaming is just fishing at its best. boost mine with Nash Gyro Juice. Instead of fishing long daytime sessions I found that by arriving mid morning and fishing through to mid afternoon best. Most overnight carp anglers have left which allows me to enjoy my style of fishing without attracting too much attention. Something else I have found is that sub-surface zigs seem to work best early in the morning or late in the afternoon so this method can be used to great effect during the usually unproductive midday period. If I were a carp angler and fishing a lake over a 24 hour period that responds to zigs, whether they be over-depth or subsurface then this is how my session would pan out. Say I arrived late afternoon I would start on subsurface zigs over a cloud groundbait. As darkness fell bottom baits would be fished in the same spot as the zigs were. At first light, or soon after I would be back on subsurface zigs before feeding surface baits from around 10am onwards and using over-depth zigs until I leave. It all seems like loads of hard work but if you want to catch more than others then you just have to keep changing. 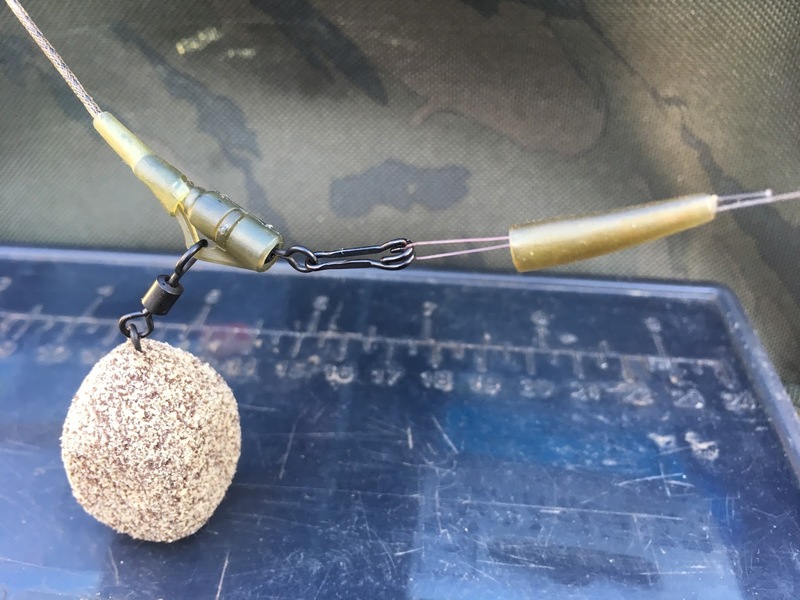 Although in the early days I used a drilled out dog biscuit on the hair I soon moved on to a pop-up boilie, similar in colour to the dog biscuits and whittled down to the same shape. These stay on and can be cast out and left as opposed to the dog biscuits that had a tendency to come of easily. I use the same rods, reels, mainline and lead set-up as used for subsurface zigs but hook length is adjusted so that it’s a good foot longer than the depth of the swim. A couple of areas that I did noticed made a difference is not to fish the hook length at dead depth. The reason I call this tactic over-depth is I want some of the hook length to be laying across the surface and not tight to the lead. 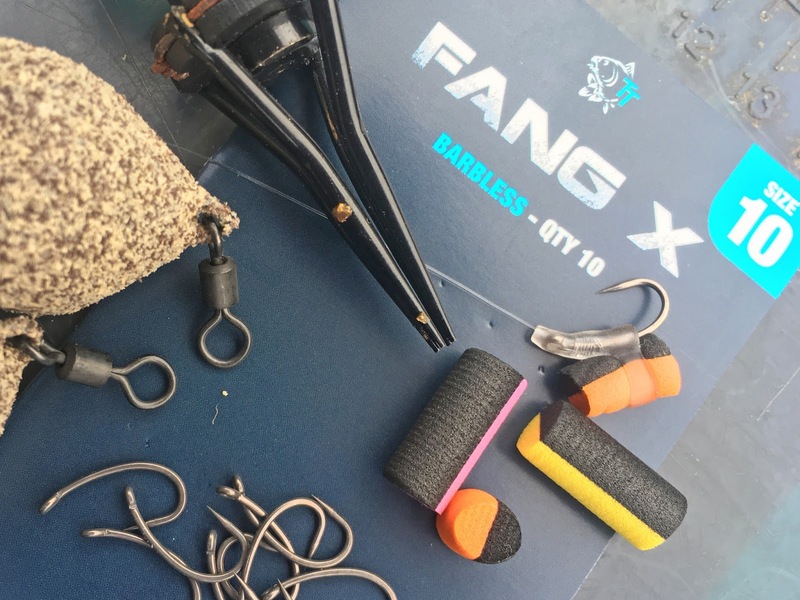 Hook shape and weight has also made a huge difference and I prefer to use a smallish hook, around a size 10, not to heavy in the gauge such as a Fang Twister and find that better hookholds are achieved by placing a hook Kicker on the eye of the hook. This tactic isn’t for the lazy angler but one that’s proactive and it’s these work ethics alone that make this tactic one that’s rarely used. Next time you find the carp up on the surface, make sure you have plenty of floating dog biscuits with you and start spombing them out. Don’t cast out to quickly, just feed the birds off to start with, watch for those lips and then cast when they are confident. Once mastered casting a bottom bait out during daylight will be a thing of the past. 1 – Watching big carp like this common slurping down baits off the surface is for me as good as it gets. 2 – A big swirl is often followed a few seconds later by a screaming take. 3 – First thing to do is feed the birds off. 4 – The best way to get all the rods fishing at the same distance is to use marker sticks. 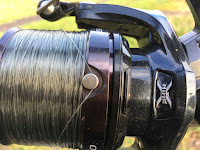 5 – Use the reels line clip to cast to the same spot every time. 6 – Make a reference on your main line so after a fish is caught you can cast back into position. 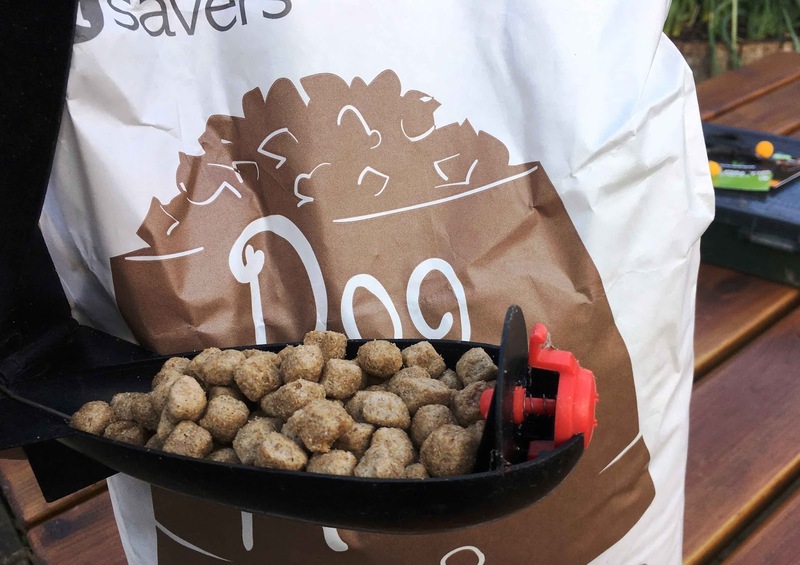 7 – Cheap dog biscuits are great for feeding the birds off. 8 – A whittled down pop-up boilie fished over-depth, slightly further out than your feed is a brilliant tactic. 9 – ‘The Big Dink’ caught at 32lb on an over-depth zig my mate Chris Petter. 10 – This was my first carp taken on a zig, what a stunner! 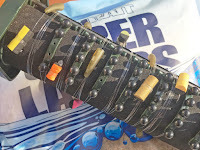 Although carp anglers have been catching carp on suspended baits for decades it’s only been in the last few years that tackle manufacturers such as Nash Tackle have delved into the depths of this method and specifically created end tackle to bring this devastating technique to all. However, even with everything needed for an angler to catch a few carp on zigs, most lack one thing and that’s confidence. Many have tried and given up quickly, others want to try but can’t even bring themselves to casting one out, yet once mastered it’s an edge that will make any angler stand out from the crowd. Last summer I took three months off from targeting other species just to master the art of zig fishing and to say it was a learning curve is an understatement. Many mistakes were made along the way but through patience and persistence I can now say that I’m happy to leave the bottom baits at home and arrive with a few plastic/foam hookbaits and a bucketful of clouding spomb mix. Before progressing let me mention the initial mistakes I made. 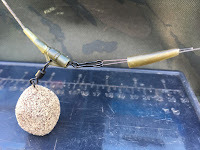 The first was to scale everything down as I thought this would produce more bites, which it probably did, however zig hook holds in a carps lip are all over the place and by using a hook too small and one of a thin gauge simply saw to many fish lost through hookpulls. 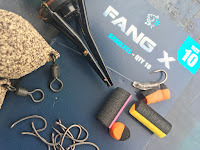 Even when using small hooks I was still catching more than others around the lake, so I knew I was onto something, yet I hate losing fish so had to eliminate these from each session but not at the cost of stopping the bites altogether. 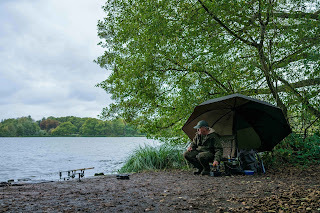 Hook size and rod length was increased and straight away the problem was solved, yet looking back I’m not sure swapping the rods from my trusted 9ft 2.25lb Scopes for 12ft 3lb t/c Pursuits had anything to do so with my loses, it was simply a case of using a hook that was too small. Another cause of hook-pulls was not dropping the lead on a bite, something I really didn’t want to do at first, but having a 3.5oz lead bouncing around six foot up whilst a big carp is lunging around in the margins and whilst using a size 12 hook and a short rod was all simply a recipe for disaster. Having made some glaring errors initially but by ironing these out gradually over each session I now use the following tried and tested tackle. Rods are now 12ft 3lb Nash Pursuits (I might go back to the Scopes) teamed up with Shimano Ultegra C14+ 5500 reels loaded with 12lb Nash D-Cam. Having such a long hooklink and a bait that’s wafting around mid water it was obvious that there was no place for small leads as these could easily be dragged unknowingly around leading to very poor hook holds. Another factor on deep venues was that a lead swinging about mid air caused major problems when landing fish so in swims over four feet dropping the lead was beneficial for landing a fish. Anything less than this depth and I’m happy for the lead to stay in place. The lead set up and end rig was once again modified over time and the final rig is as follows for most situations. First a couple of feet of leadcore is attached to the mainline on which a Nash weed lead clip and sleeve is placed. The swivel on the end of the leader is then pulled into the clip and the small pin pushed within locking the swivel in place. 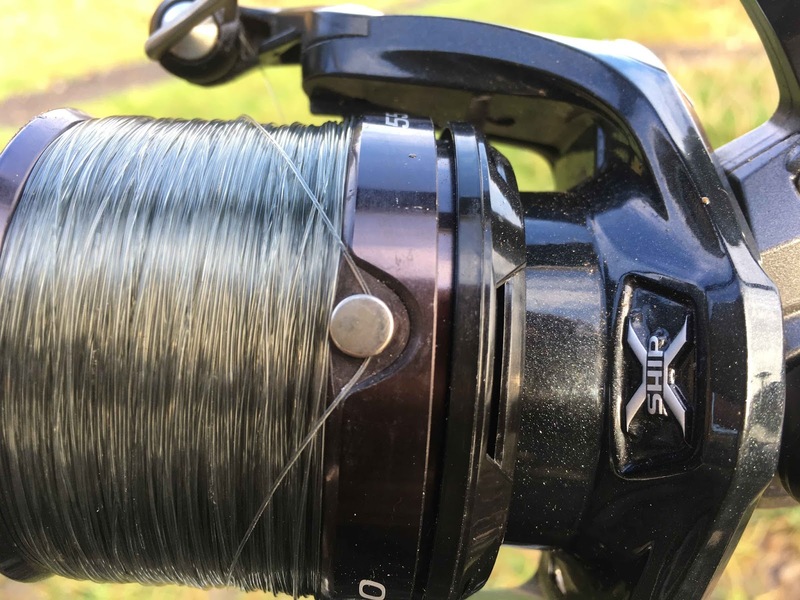 The hooklink is then attached to a quick change link which is attached to the swivel on the leadcore, before a sleeve is pulled down over this to protect and create a boom which reduces tangles. 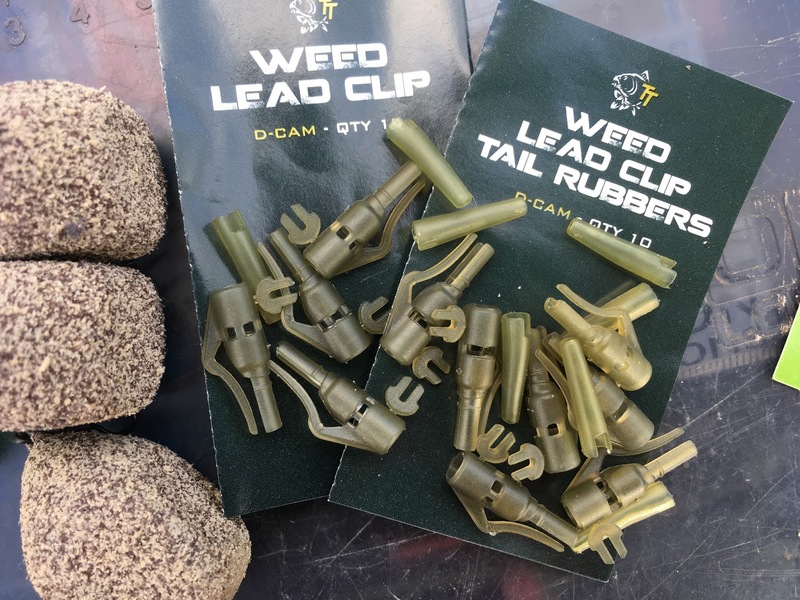 The lead usually 3.5oz is then placed onto the clip but before pushing the sleeve over the top it’s very important to moisten both components as this will ensure the lead drops on the take. Failure to do this won’t allow the lead to fall off. The hook length I use is either 8lb or 10lb ZigFlo, a purposely buoyant hook length material created for zig fishing. This has a Nash size 10 Fang Twister hook tied on knotless knot style before adding a Ziggaz which is pulled down over the eye and onto the hook. The hair is removed and the knot and Ziggaz creates the perfect angle off the eye of the hook needed for better hook holds. All that’s left to do is add a small piece of foam into the allocated slot. I usually start with red but change around if I know fish are feeding but bites aren’t forth coming. 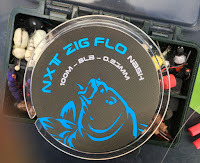 Generally a zig works best at around two thirds depth so for example in twelve feet of water I would start by placing my zig at 8ft. Rarely have I caught below half depth but have often had to increase the hook length so that the zig is inches from or even on the surface. The reason I fish high up in the water is because I tend to use this method on warm days of little wind and right in the middle of the day when most carp naturally rise up into the upper warmer layers. I have tried zigs at night with very little response but I know anglers that do catch during darkness but generally these are just odd fish and not big hits. I also know of anglers using zigs right through the year but for me this is a very active, visual spring to autumn method. A little tip to quickly finding the depth of the swim is to have a visual float, something like a slim pike float attached to the spomb rod. Before spombing bait out I remove the spomb, add a big lead and use the rod as a plumbing up tool! Easy and very effective. Swim choice is paramount as working a swim however hard that contains no fish will simply result in a lot of effort exerted and a big fat blank. I will always walk around the lake first and tend to pick days of little wind as nine times out of ten I will be able to visually pinpoint an area of carp activity. 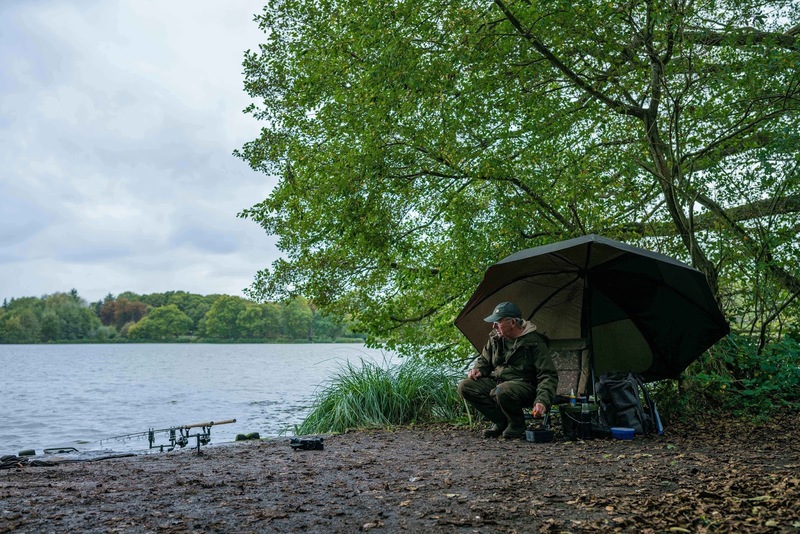 So many anglers just don’t do this and set up in a swim that’s produced before, one that’s close to the car park or simply because its comfortable. Next time you go, take a minute to watch the water, try and understand carp move to different areas under different conditions and act accordingly. Once in a swim with carp activity its best to pick a distance that you are comfortable casting to or as I would do cast to where I can see carp moving. Clip the mainline into the reels line clip and mark the line with some sort of reference mark, I use a stop-knot made from pole elastic. What is needed next is to mark the same distance on your other rod as well as your spomb rod as this will mean that your spombed bait will be falling through the water directly over your hookbaits. There are many ways to get all three rods clipped to the same distance but the best way is to use distance marker sticks. With two rods cast to the same spot, one with red foam the other with black and one fishing a foot deeper than the other it’s time to start baiting over the top. 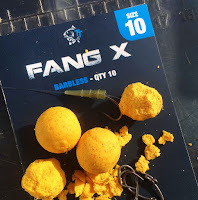 Try and get into a rhythm of baiting, I tend to cast a couple of spombs over my baits every five minutes to start with but dependant on conditions and bites you may have to decrease or increase the time period. 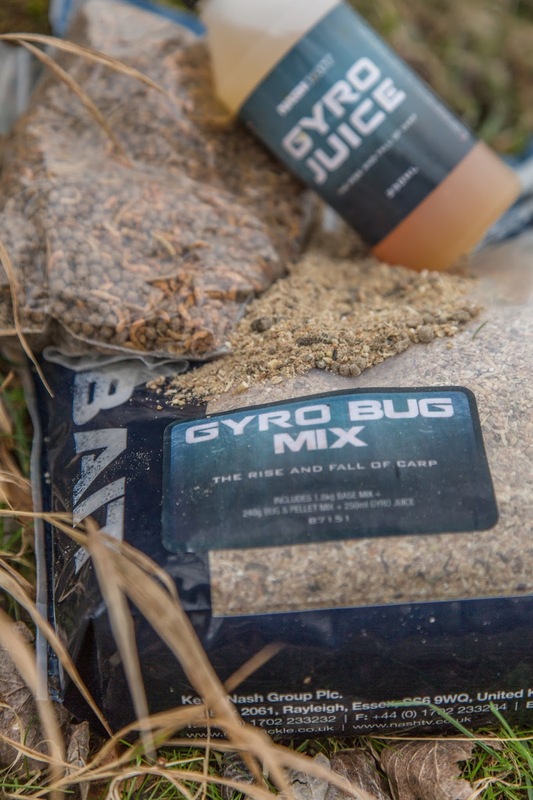 Once again Nash have created a mix of groundbait, the Gyro Bug Mix that can be easily mixed on arrival and contains ingredients such as variable buoyancy pellets, natural dried insects and attractors that will constantly fall and rise through the water columns drawing carp in from miles away and finally competing for food. Get this type of feeding around your hookbait and simply await the action. The lake I spent perfecting this method saw most anglers on average catching a decent carp every 24hrs. Anglers fishing for tench, which I’ve also caught on zigs, were catching as many carp as the anglers targeting them so I knew by using small particles or doing something different would eventually pay off as boilies were simply being ignored. Most of my sessions were based around arriving at first light and fishing for four hours or four hours before dusk and I never blanked once my approach, baiting and tackle was perfected. The carp were averaging around 20lb and the best session saw seven takes resulting in six carp landed in just three hours. Although I did try and be discrete, you would have thought that others on seeing carp after carp grace my net would have cottoned on and copied me but fortunately very few did which is brilliant as I can head back this spring and once again enjoy this explosive method to its fullest. 1 – Get your approach right and expect lots of stunning carp like this mid twenty common. 2 – Get use to casting every few minutes, its active but hugely rewarding. 5 – The lead set up. 6 – Hook choice is important. 7 – Zig Flo, made for zig fishing. 8 – Plenty of spare rigs made up. Obviously red is a good colour! 9 – You can even match your hookbait to a real life insect using purpose made bugs! 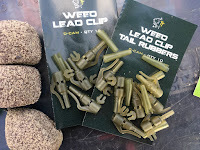 10 – Weed lead clips and tail rubbers, ideal for lead dropping. 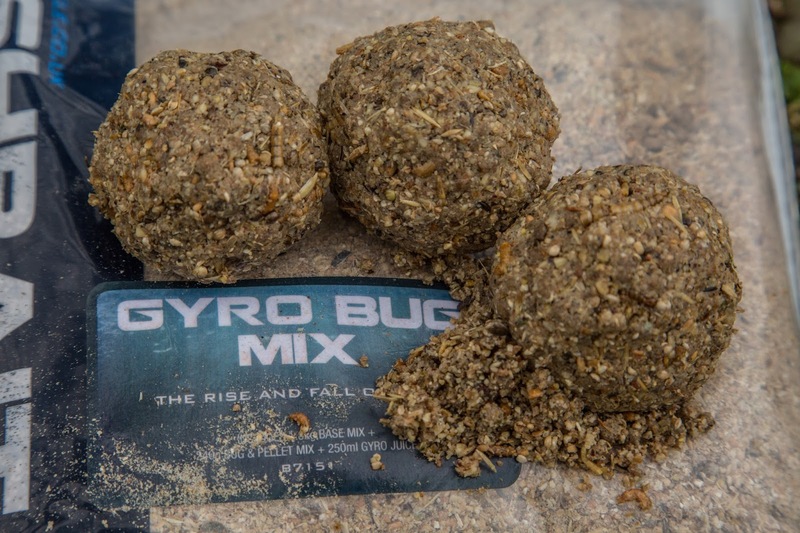 11 – Gyro Bug Mix attracts carp from miles away. 12 – Gyro Juice will create a flat spot and boost the mix. 13 – Once mixed it can be introduced by hand, using a catapult or as I do with a spomb. 14 – One of many carp that slipped up on a zig. Anyone that knows me will understand that January has been a very difficult month for me and the hours spent bankside have reflected this. The weather hasn’t been good with temperatures fluctuating all over the place, scrapping windscreens at first light a common occurrence and as for the wind and rain at times, well it’s been all over the place and trying to catch consistently has been impossible. It’s not just us anglers that don’t know if we are coming or going, nor do the fish and a great example of this was when I visited Bowsaw to do a feature on catching on the waggler. Unfortunately the wind hampered the session but when Jim arrived he informed me that the chub that normally shoal up in peg one were still in small pockets dotted around the lake. Fortunately I have been hard at the article writing with plenty of freelance work to keep me busy so it’s certainly not all been doom and gloom but to say I can’t wait for the warmer, more settled weather to arrive is an understatement. I can’t wait for the cough to disappear, another thing that has been dragging its heels and me down with it, however the most influential reason for not getting out, and when I do not being able to focus and enjoy it is my cat who’s over twenty is sadly coming to the end of her days. Scans on her liver, tablets for her thyroid gland and worst of all having to have her lungs drained of fluid has all taken its toll on both of us. Amazingly she is still with us and seems to be happy but for how long, I’m not sure. We still have one of the worst months of the year to go, February before everything starts kicking in and I’m not sure just how much fishing I will get in but instead of trying to do short sessions I think it will be best to head out for the day when firstly the weather looks good and secondly when the girlfriends off work as this way the pets will be looked after. I’m going to keep trying for a big perch as now is the time and then when March arrives have my carp rods ready, you never know I might feel up to spending the odd night under the stars! 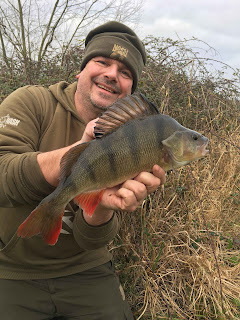 One angler that's also been struggling but finally got the right bite is my mate Mark Lindsey who at long last has caught his dream fish, a 4lb perch from the Thames. Time for a five now! 01 to the 03/01/18 – With the ‘Yo Yo’ cold still hanging around and what with storm Dylan bring gale force wind decided to try and get fresh for next week and get back into things with a vengeance then so spent these days in the office to writing up Anglers Mail features, drumming up some new work for European magazines and tiding the tackle shed. 04/01/18 – Cant shake this bloody cold but know sometimes being out in the open can make you feel better so after an uneventful day wrapped up and headed to Johnsons thinking about catching a needle in a haystack there, a big roach. Due to the high wind I headed to the railway bank and set up midway along. With the wind off my right shoulder things seemed far more comfortable and a couple of casts of around 75yards were made with the spod before dropping my hookbaits over the top. To be honest a bleep would have been a result as it was just good to be out but come 8pm six good rudd had graced my net, the best 1lb 14oz. 05/01/18 – Up well before dawn and on the bank of Finch Farm come first light. My target a big perch, however once again it’s like finding the needle in the haystack as although this fishery does the odd big perch each winter they are very elusive, maybe just one or two big girls in the whole lake. Last time I fished here for perch, in really bad conditions I blanked so to get four bites was a result, however the three I made contact with were small. 06/01/18 – I was in two minds whether to head to either Frensham or Johnsons and fish into the evening however a quick look at the river in the back garden told me that there was an outside chance of catching some lives and securing them in the river, ready for a few perch sessions over the next couple of weeks. My hunch proved a good one and with the river carrying some colour I was able to avoid the ever hungry minnows and catch a few tiny roach but more importantly a perch’s favourite, gudgeon. 08/01/18 – As I mentioned a while back, it’s time to cut the feature writing time down and try my best to produce two a week. 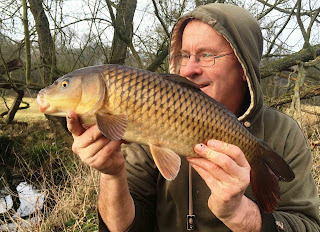 Most of today was spent writing up my weekly ‘Where To Fish’ Anglers Mail column, just need to get out later in the week and catch a few for an accompanying image. 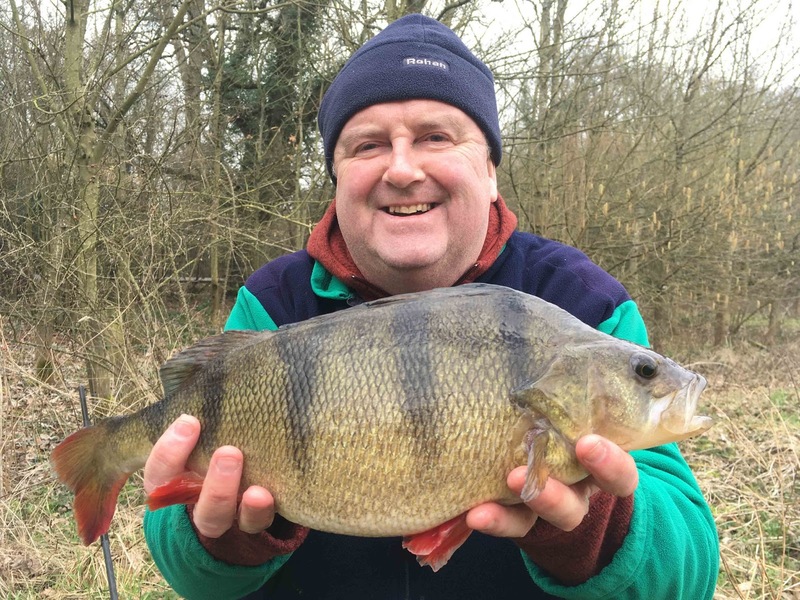 10/01/18 – Arrived at the river, with my brother slightly later than I would have liked, 8am but fortunately the car parks empty so knowing he hasn’t caught a decent perch for a few years placed him in the going swim and ten minutes later he was posing in front of the camera with one weighing 2lb 14oz. Once again we were hoping for more action but the river was still carrying colour and by midday all we had to show for our efforts were two small pike. 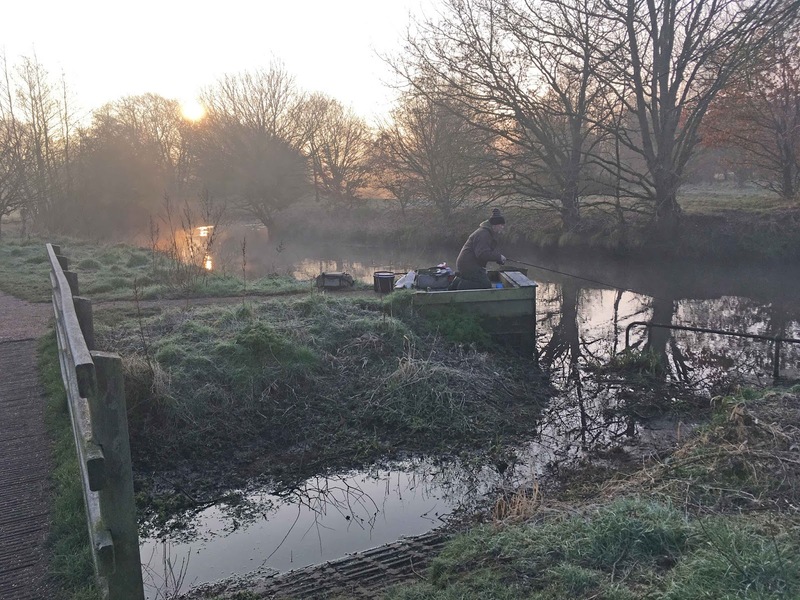 11/01/18 – On the banks of the upper River Lea come first light to meet my friend Joe Royffe who’s been banging out a few big chub recently. The reason for the trip was to get a few images and top tips for a soon to be published Anglers Mail ‘Catch More’ feature. 12/01/18 – In the office completing yesterday’s article which included taking a few extra photographs. With a few hours spare and the weather dry and relatively comfortable I grabbed the helicopter rigs and headed to Johnsons but apart from two single bleeps which came out of the blue the four hour session into darkness failed to produce. 13/01/18 – On the banks of a new stretch of river come first light in the hope of a few decent perch with my mate Chris. The rivers still slightly coloured and after trying numerous swims without any joy finally stumbled on one that provided us with six bites. Three were from pike and the other perch with Chris taking the best of the day, one of 2lb 9oz. 14/01/18 – Although the perch fishing has been really good of late there has been signs of it becoming tougher. This is probably due to the weather conditions as the river always seems to be coloured and pacey. 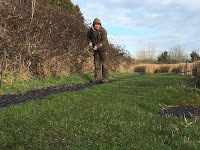 We were hoping to create a feature for AM but apart from numerous pike that seem to be well on the feed all the usual spots failed to produce. We even headed to a different river towards the end of the day but again little happened. Once this weather settles down things should improve. 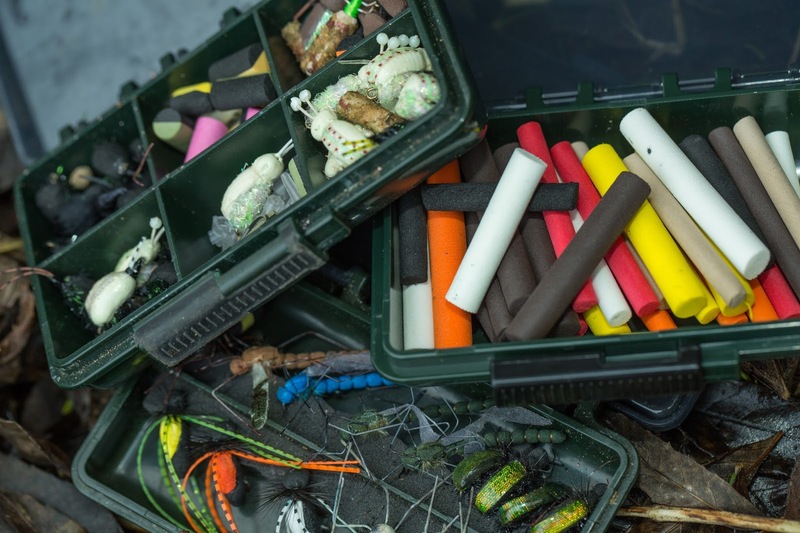 16/01/18 – 25/01/18 On the banks of a local day ticket venue to create a ‘waggler and maggot’ feature. Things didn’t quite go to plan due to storm Fionn arriving yet we soldiered on and pulled it out of the bag. Keep buying your copy of Anglers Mail to see the feature. On the way home started to get a headache that was effecting my eyes and unfortunately spent the seven five days housebound due to what many would call flu, however although I felt like crap I still managed to write my weekly WFT column up as well as this feature. 26/01/18 – Still not feeling great with a chesty cough but managed a few hours’ perch fishing at Finch Farm. Although the weather wasn’t too bad the fish didn’t want to bite and after four hours headed home. I was meant to be on the river guiding but knowing its up and coloured had to reschedule this. 27/01/18 – There are times when you just know you should have stayed at home as the weather forecast has been saying that it would be 10 degrees, overcast and damp come first light but fully prepared for a perch session I found myself scrapping the ice of the van’s windscreen before leaving! A quick look at the weather forecast showed that this band of mild air wasn’t now arriving till the early afternoon, a time when I had to pack up. I still made the effort, almost ended up in the back of someone who pulled out on me halfway to Passies then realised that I had forgotten my tackle box, however soldiered on and bagged myself a 2lb 9oz perch but come midday and with a chilly wind cutting right through me and still feeling rough threw the towel in. If you are not enjoying it then there is no reason to stay. 28/01/18 - Today was yet another cancelled session, this time a feature on perch on the river and again due to the river being high and coloured. Wanting to get out due to the really mild weather, 14 degrees headed to Johnson’s early afternoon in the hope of a carp but three anglers and only one carp out over the weekend and few moving didn’t have us full of confidence. Chris fished small pop-ups whilst I tried a maggot medusa, something I want to perfect and at dusk had a drop back but whatever it was got away with it. Another drop back at 7pm was the only other indication but a decent winter tench did grace my net but all in all a disappointing session. 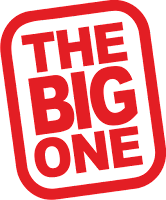 29/01/18 – In the office all day completing two European articles on zig fishing which will be on my website soon. 31/01/18 – Up early and on the road to meet up with Jed Kent at Wylands International to create an Anglers Mail ‘Where to Fish’ opener. A long day when things seem not to go our way yet once again through some hard graft and keeping on the move we managed to get the feature sorted.